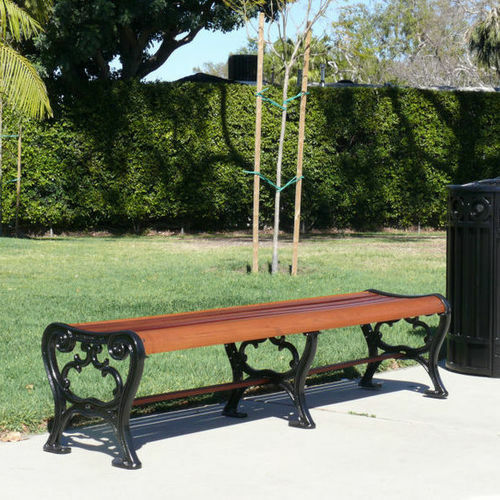 The backless 1890 bench artfully complements the 1890 bench in open environments where a backrest is not suitable. 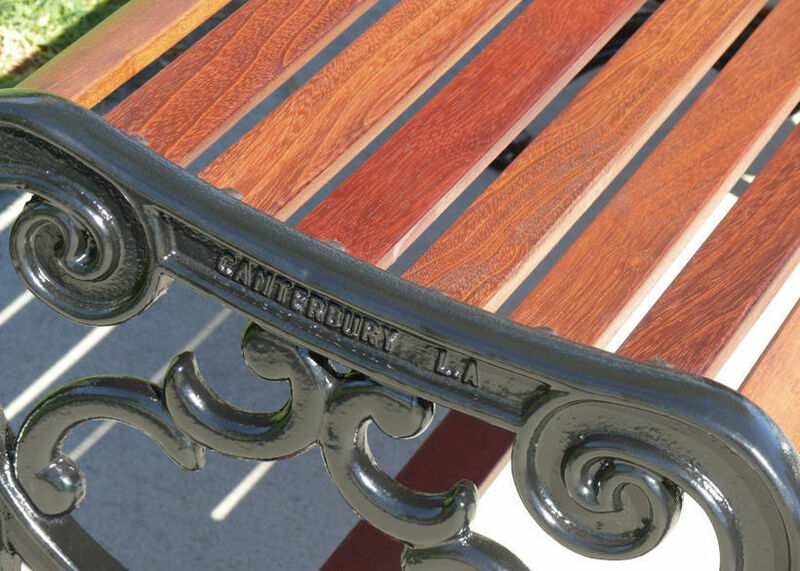 It features the same beautiful filigree frame and Jatoba wood seating. The 1890 collection pays homage to Art Nouveau design, with curved lines, fluted columns and floral motifs. The pieces lend character and distinction to any setting where history is celebrated. 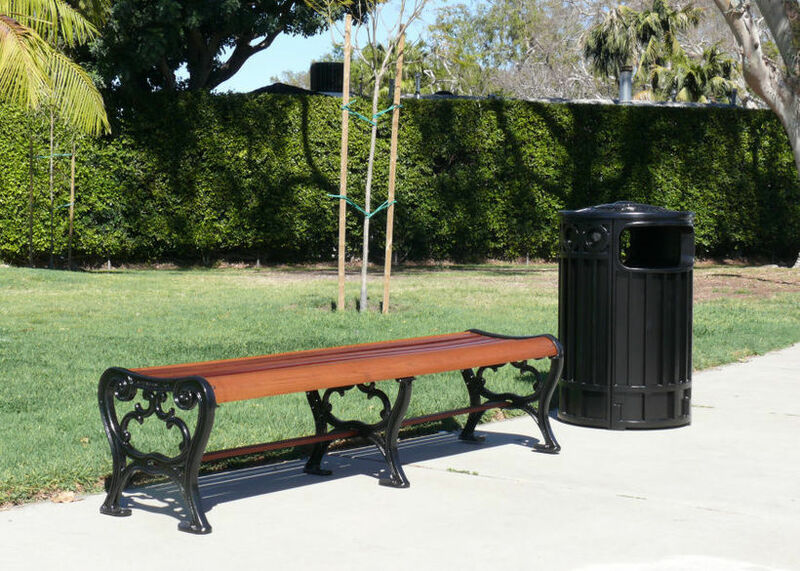 Their style and durability invite visitors to parks, memorials and historic sites to relax in the comfort of tradition. 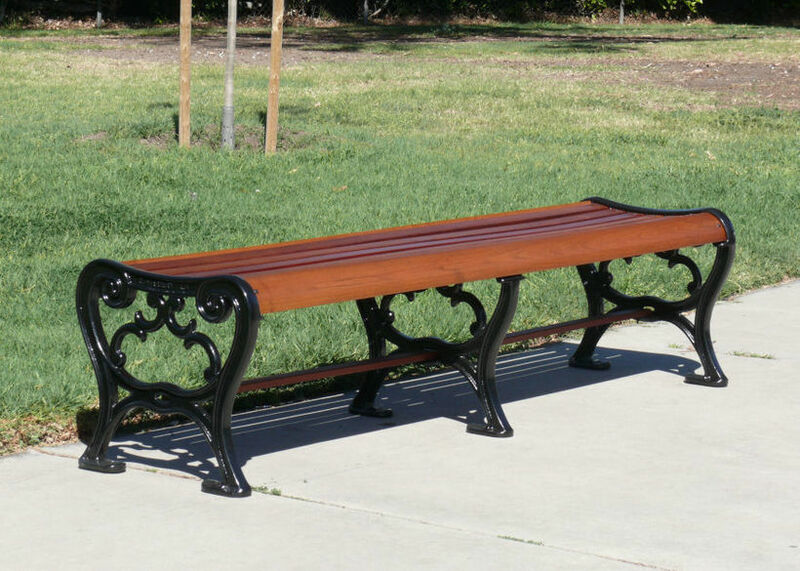 public bench / contemporary / steel / with backrest PENNSYLVANIA AVE.